If you’ve been diagnosed with nearsightedness, farsightedness and/or other refractive errors, you may have assumed that were stuck with either wearing corrective lenses throughout the day or having a surgical procedure such as LASIK to alter your corneas for life. 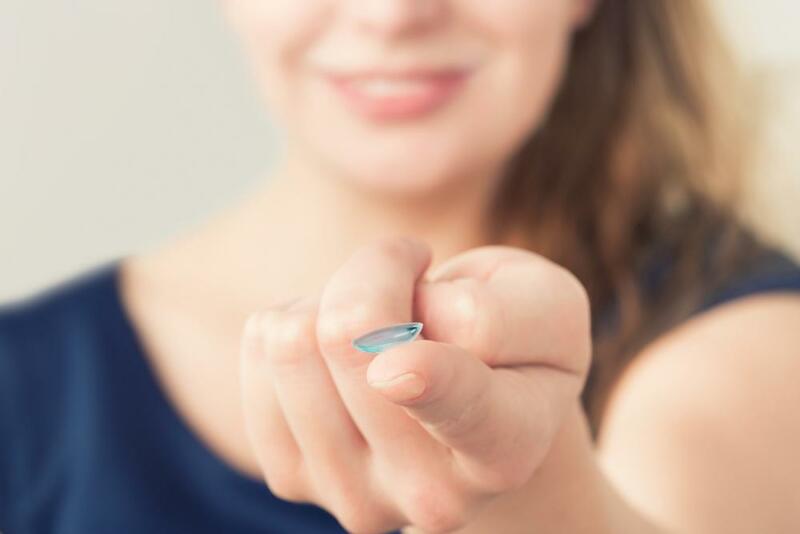 But there’s another option, Ortho K contact lenses — and if you’re not familiar with it, you’ll probably be very excited to make its acquaintance. Here are some frequently asked questions about Ortho K contact lenses in Plano TX, courtesy of The Plano Eye Care Center. What is Ortho K? “Ortho K” stands for orthokeratology, a technique for reshaping the corneas during sleep. This process may also be referred to as corneal reshaping or Corneal Refractive Therapy (CRT). Specialized contact lenses are worn at bedtime, acting as molds that correct for refractive errors overnight. When you awake, you can remove the lenses and enjoy clear daytime vision free of corrective lenses. How are the Ortho K lenses able to reshape the cornea? Unlike regular contact lenses which simply sit on the eye and aid in the refraction of incoming light, Ortho K lenses actually exert a small, safe amount of pressure on the corneal tissue. This pressure is designed to compensate for your eye’s particular refractive error with a great degree of accuracy. How long does the Ortho K effect last? The clarity of vision may have different durations for different people, since no two pairs of eyes are exactly alike. But many people enjoy several days of corrected vision at a time. Once you know how long the effect lasts for you, you can simply schedule the overnight wearing of the lenses to ensure continuous visual clarity. What are Ortho K’s advantages over glasses and traditional contacts? Going through the day without having to wear corrective lenses can be advantageous for many reasons. Perhaps you simply don’t like how you look in glasses, or you hate having to insert or remove daytime contacts. Ortho-K also makes sense for active individuals worried about broken glasses or dislodged contacts. What are Ortho K’s advantages over LASIK? LASIK may be reasonably safe and successful, but there’s always a risk of side effects and complications, and not everyone is a candidate for eye surgery. The results are also permanent, for better or worse. Ortho K lets you skip the surgery while also being completely reversible — all you have to do is stop using the lenses. What can Ortho K correct? Ortho K can correct farsightedness, astigmatism and presbyopia up to a point, but it’s best at correcting nearsightedness. In fact, Ortho K can actually slow the progress of myopia in children, making it a great option for nearsighted little ones. Learn more about our Ortho K contact lenses in Plano TX. Call The Plano Eye Care Center at 972-964-3937 today!